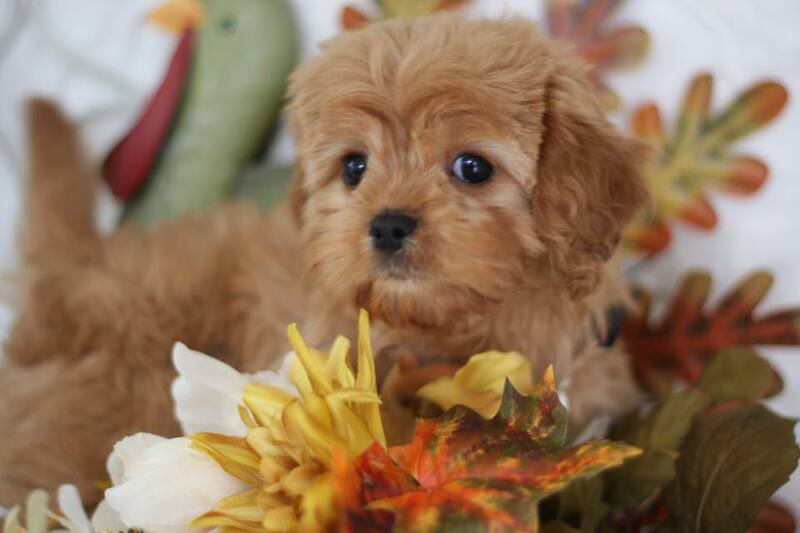 Ruby Cavapoo Girl Puppy TINY with the BIGGEST PERSONALITY! I'm laughing cause this little bundle is too precious for words and she knows it!!! Her expression says it all, she is no bigger than a minute (7 to 10 pounds grown) and she thinks she weighs in at around 90 pounds! She's a busy little person and will keep you on your toes with her precocious attitude but she's 100% filled with the most loving heart and she'll be worth a bit of corraling to get her through babyhood to end up owning such a charismatic little companion. 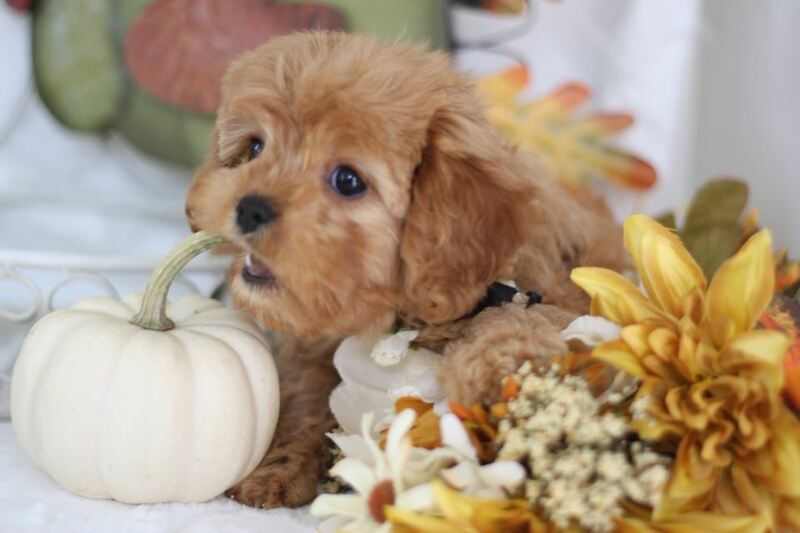 (Right click that white pumpkin for a million more photos (almost)!